This project was tasked with multiple fluid containers, and creating realistic clouds from procedurally generated geometry. 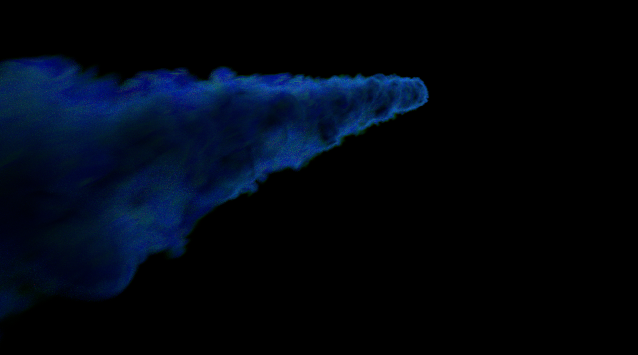 The meteor's fire was the main driver for this simulation. The fire was created with pyro using the gas DSD solver referenced from Wrinkled Flames and Cellular Patterns by Physbam. For the smoke simulation I used the temperature from my fire to drive the smoke. Then animated the fire simulation to intemperate the distance it would be traveling in my shot and divided the distance into clusters. Then used a min and max bounding box for each cluster so my simulation can use multiple fluid containers to optimize the resolution from the camera and simulation times. Trigger frames were used to automatically start the simulation when the previous cluster would finish simulating. Once I was happy with the look of one cluster I then used wedges to simulate all my clusters one after another to get the final result. Lookdev and Rendering was done in Maya using Arnold. Clouds were definitely a challenge, after researching what types of clouds form at different elevations I decided to stick with cumulus clouds. The next step was to see what was already done from technical papers and use them as a reference for my process. The two I referenced from was Cloud Modeling And Rendering for “Puss In Boots”, and The Real-Time Volumectric Cloudscapes of Horizon Zero Dawn. After going through the papers I decided to go with the Dreamworks technique just because I needed to have control of what was going on in my composition for the clouds. 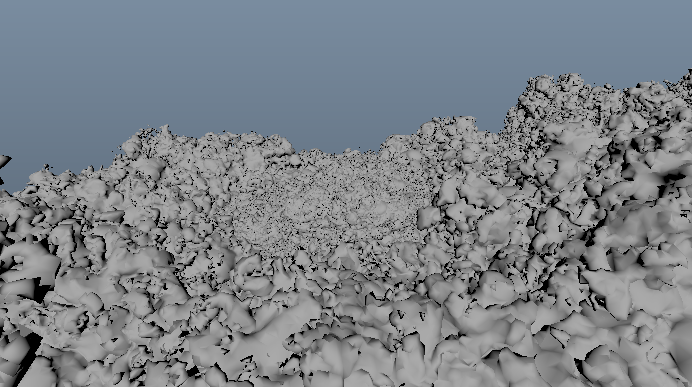 One of the biggest problems I had was creating a believable source geometry to look like a believable cloud volume. For my source I used a wide box, and created it into a SDF using VDB's. Then boolean operations were used with noises in Volume VOP's to get my base cloud. Using this method lets me see the different shapes being created at a small scale, once finding a shape that was nice I converted the SDF into polygons and isolated the shape I liked based off of the connectivity. 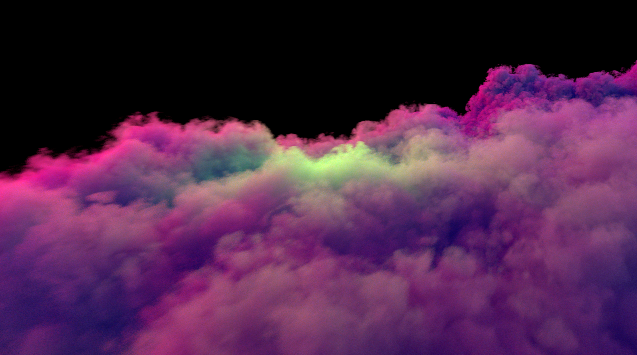 Then I scaled the cloud to world scale, used blend shapes to manipulate the bottom of the cloud and instanced billowy spheres with random scales at the top to get interesting silhouette shapes. When the modeling process was finished I then created it into a volume using VDB's and manipulated the volume in VOP's using worley, and turbulent noises. Once I had different versions of the cloud with different noises, VDB Combine was used to manipulate the different versions. Once I was happy with the clouds I would export a geometry representation, and the cloud volume for Maya using alembic and VDB file formats. I was extremely happy with how well Arnold can handle large volumes.